Studying Art is an intellectual pursuit and we have high expectations for our girls to engage in meaningful art practice which explores culture, emotion, spirituality, truth, controversy and aesthetics. 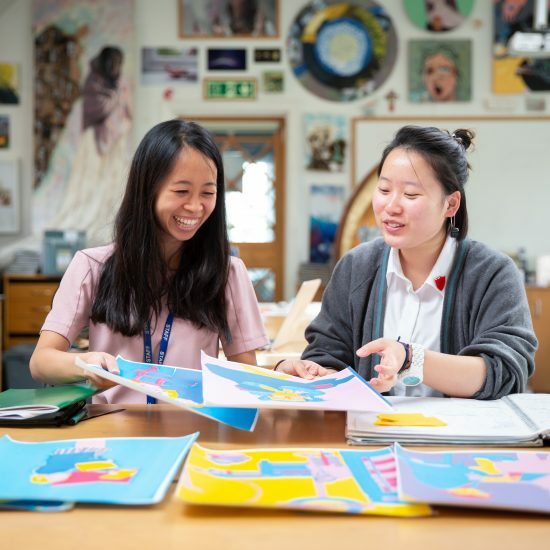 100% of Art applicants have secured places on prestigious Art Foundation and degree courses, including Kingston, Loughborough, London College of Fashion, Leeds, Ravensbourne and Central St Martin’s. We believe that contemporary art practice is multi-disciplinary and we therefore expose our students to a diverse range of art practices, from drawing and painting to print and sculpture, dressmaking to fine art textiles, design and digital manipulation, photography and film. 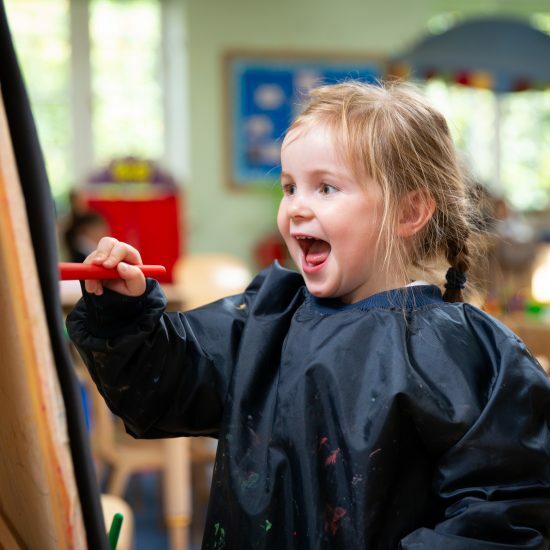 We recognise that exciting artwork comes from passion and so we facilitate our girls in finding a concept and method of working that suits their interests and aspirations. In so doing, we believe that our girls exhibit maturity and depth to their work that reflects their strength of character and meaningful artistic journey. Girls contribute to a broad range of school events, from creating the Carol Service programme to designing the set for the whole school production. 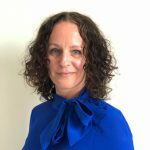 For greater insight into our department please visit our dedicated website here and for our pupil run creative industries blog please see here. Here you will find curriculum content for all key stages, information regarding GCSE and A Level examinations as well as useful links to websites and appropriate social media platforms. The student area provides resources and inspirational material to aid students in their artistic journey. 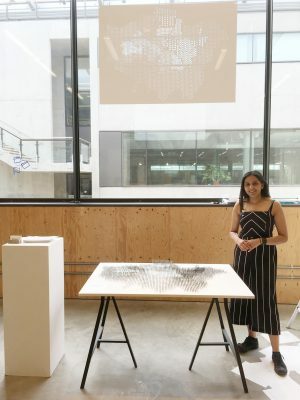 Kiranjeet Sandhu (class of 2015) welcomed Priory 6 artists and photographers to her final year degree show at Central St Martin’s with a special guided tour. 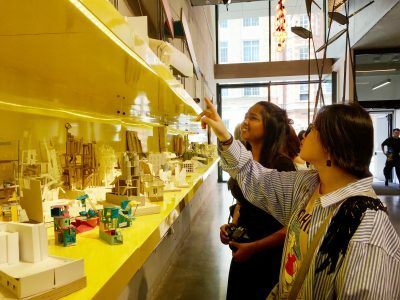 Lower VI students have attended degree shows at Camberwell, Chelsea and Wimbledon, the Central St Martin’s Degree Show, and the Bartlett School of Architecture Summer Show. The purpose of an Art Education in the Preps is to engage students in their visual world through practical making. Students are encouraged to share their ideas and use their imagination. 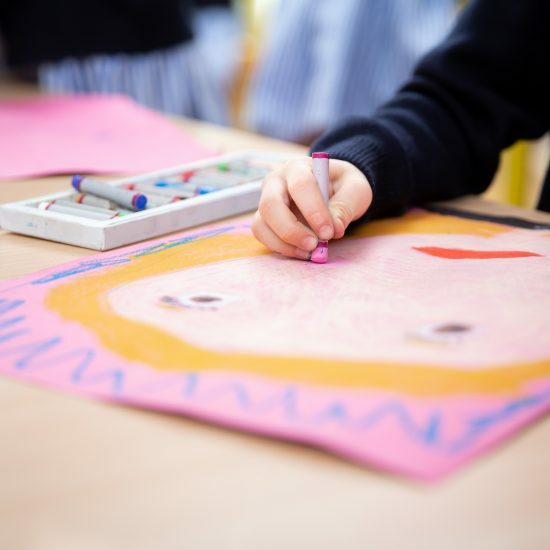 Through addressing themes like colour, pattern and texture in nature, students are able to explore media and produce work of varied size, shape and form. At this stage we wish to nurture a love of Art and enthusiasm for making. Building on their experiences in the Preps, Junior students embark on more focused Art making and creativity. In-depth discussions on artistic practices in Western and other cultures lead to meaningful artistic journeys and the development of personal artwork. Students work in sketchbooks as well as completing larger personal and collaborative pieces. Introducing new craft processes and developing artistic skills enables students to make art effectively and meaningfully. Students are taught to use Photoshop to manipulate imagery digitally as well as how to use a sewing machine to draw with. 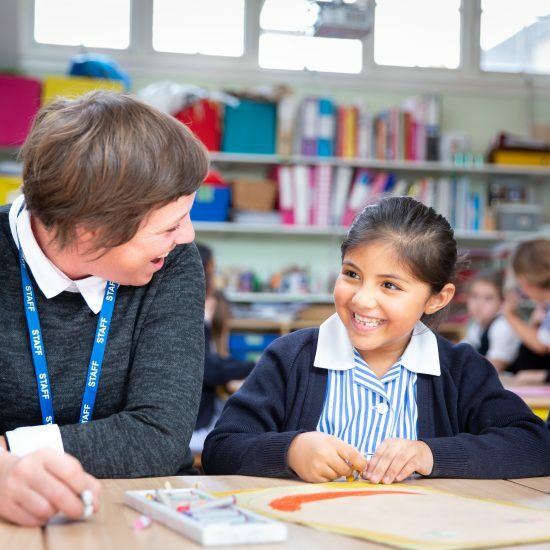 Foundation skills in drawing, painting and sculpture are also taught as part of the KS2 curriculum. Senior Art students are encouraged to express their thoughts and identity through their Art. An appreciation of diversity in our world and a search for truth through personal and creative expression forms the backbone of senior Art education. Students gain confidence in their artistic abilities and creative ideas and document their journey creatively in sketchbooks. Students are encouraged to take risks and experiment with media and composition. Utilising digital media to create and document Art is also encouraged. 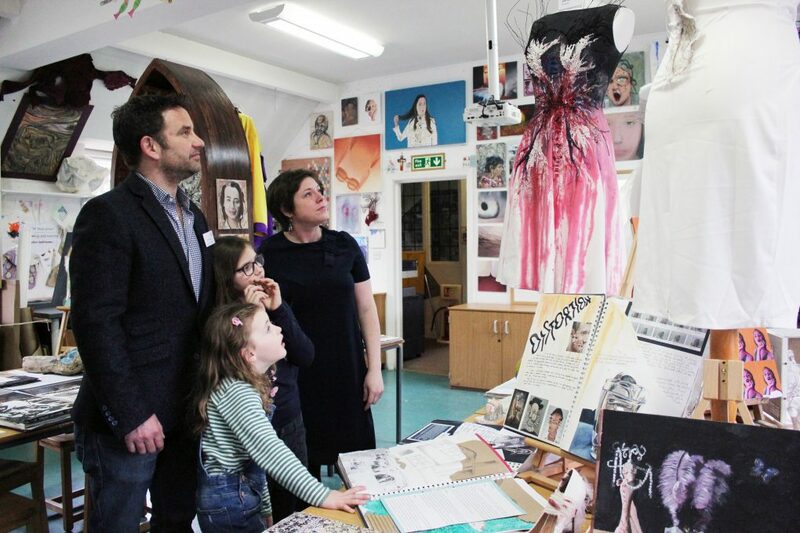 This next phase of their education focuses on the refinement of existing skills and engagement with an ever-increasing portfolio of processes and techniques such as etching, book-binding, screenprinting, dress-making, digital film and animation and photography. 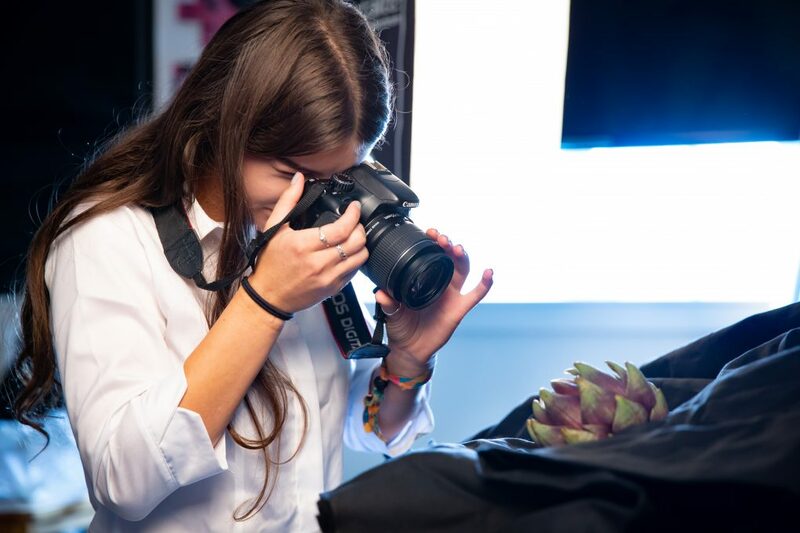 In offering a wide range of facilities, we encourage students to find their own path in Art. If students opt to take Art at GCSE, they will embark on Edexcel’s Unendorsed Art & Design Course. This complements the multi-disciplinary approach that we have in our department and enables students to carve a personal pathway in terms of both concept and selection of media and processes. We offer Unendorsed Art, Craft & Design and Endorsed Digital and Lens-based Photography at A Level. Students can choose to do one or both courses and many go on to studying Art at Foundation and Undergraduate Level following the completion of these courses. Students are encouraged to live and breathe their Art, visiting relevant institutions and participating in external artistic opportunities such as debates, portfolio classes, artist talks and workshops. We believe this fosters the independence and confidence required in a competitive Art world. Students attend creative university fairs, open days and degree shows and are supported in their applications through in depth discussions and portfolio reviews with their teachers.